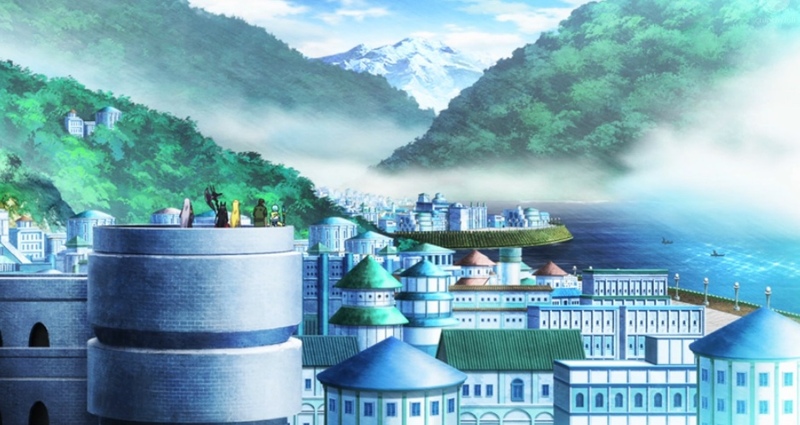 “The Magic City of Rondel,” The 18th episode of Gate, introduces Lelei La Lalena’s sister. Tyuule shows that she’s not ready to give up on her plans for revenge after Delilah’s botched assassination attempt. Amazon’s selling the opening theme that includes a DVD of the opening sequence. You can buy it here! Yes, Yōji Itami may led the team that killed the fire dragon (in the last episode). But, he deserted his unit team to do it. So, this episode starts with his commanding officer stripping him of his position as leader of recon team 3 and suspending him for two weeks. But the magic of Itami’s luck kicked in, and the Lieutenant General also announces Itami’s awards: a commendation from the Japanese Defense Minster for rescuing Noriko Mochizuki, a noble title from King Duran, the title of honorary chieftain from the Dark Elves, and ownership of Yao Ro Dushi (among other things). Then the General orders him to research the Special Region for natural resources. Our heroes stop at the beautiful academic city Rondel. Capture from the Crunchyroll stream. Their first stop is the magic city of Rondel. The city’s older than the empire, and it’s a center for learning. Lelei wants to give a presentation that seems to be the equivalent of becoming a university professor on Earth. She has to stand in front of leading scholars and present her paper. If they don’t accept her, they will hurl ink at her white gown, and she has to leave it on until she leaves the city. The group goes to the meeting hall to get ready. There, she meets her sister Arpeggio El Lalena. She appears none to pleased to see Lelei; jealously seems to be part of the reason. Apparently, Lelei being with Itami and Tuka Luna Marceau didn’t help matters. At a party in the capital, Princess Pina Co Lada and Kōji Sugawara are happy that official peace talks between Japan and the empire are about to begin. 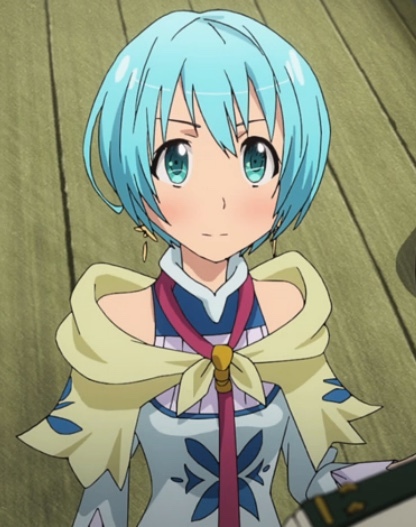 Once the talks begin, the Princess sees her role as being over, so she is looking forward to learning more about Earth’s “art.” The Princess has to point out to Sugawara that Sherry Tyueli, apparently very happy with the necklace Sugawara arranged for her to receive, is trying to get his attention. She eventually does, and she has to educate him on the benefits of having connections in the Special Region — she can help him break the ice with the locals. With her help, and the two groups begin to mingle more freely. 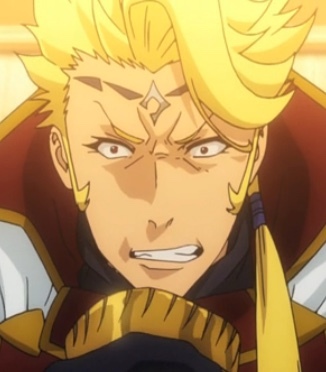 Zorzal El Caesar is angry that his plan to kill Mochizuki failed and the peace talks are moving forward. He doesn’t blame Tyuule, which suggests their relationship is really complicated. He says no more tricks; they need to work with the majority now to maintain power. When he leaves, Tyuule asks her spy Bouro to get something for her. The Emperor Molt Sol Augustus, Pina, and Zorzal arrive at the throne room to greet the Japanese ambassadors. Zorzal doesn’t ascend the dais; he stops and welcomes many of the prisoners who Japan had sent back to the Special Region. The men are overwhelmed that the crown prince would talk to them — and more, that he remembered their names. Pina tries to call him back, but the emperor tells her to let him be. Zorzal is displeased that peace talks are about to begin. Capture from the Crunchyroll stream. The emperor welcomes the Japanese ambassadors. The men around Zorzal are indignant. Zorzal himself says that back when Shino Kuribayashi nearly beat him to death, he took it so he wouldn’t be purged. Now, he says he’s had enough. Sugawara notices Zorzal’s glaring at the emperor. When everyone in the throne room toasts to the beginning of the negotiations, the emperor falls to the ground, poisoned. Tyuule watches, pleased. When the Lieutenant General tells Itami that he now “owns” Yao, the General said, “Don’t break any laws.” Though I’m not comfortable about the whole ownership thing, I thought the general’s assumptions were funny. Apparently, Lelei can drive — and better than Rory or Tuka, much to Rory’s indignation. Itami took advantage of their trip to Rondel to give his team driving lessons. Tuka’s recovered enough that she can joke about the dragon incident, as she proved when they’re talking around the campfire on the way to Rondel. The innkeeper mistook all of them to be Rory Mercury’s followers — to the point of looking at Itami as her manservant! Lelei’s reaction was totally within character: she accepted it as a positive development since it meant they’d get better treatment. Lelei’s still learning how to accept compliments. Capture from the Crunchyroll stream. Lelei actually blushes when Itami tells her she’s pretty in her scholarly gown. She looked vaguely unnerved, too, like she had no idea how to respond. In the meeting hall, Itami wonders why all of the great masters are isolated. Then he sees experiments blowing up or producing geysers of water — thus destroying the masters’ research notes. Sugawara doesn’t want to have anything to do with Sherry because she’s twelve and she’s too young by Japanese standards to be a girlfriend. Pina points out things are different in the Special Region. That alone is a little troubling given anime’s reputation for having an unhealthy interest for “lolis.” What I liked, though, is how easily Sherry manipulated Sugawara, even to the point where she had to point out the benefits of introducing her to the leading ambassador to break the ice with the other nobles. She had him completely wrapped around her finger. Zorzal was behind Tyuule’s orders to kill Mochizuki? That was a surprise to me. It builds on the suggestion in earlier episodes that Zorzal was playing the fool so keep himself safe from his father. The best I could come up with is that I’d like to see Rory, Tuka, Yao, and Lelei interact more among themselves. 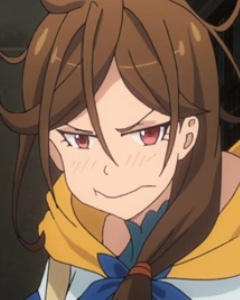 It feels like most of the interactions are centered around Itami. I know he’s the main character, but I would like to see more development among other other main characters. Lelei has an excitable older sister. Capture from the Crunchyroll stream. So Lelei has an older sister? I hope she doesn’t join the harem — I mean team. That would be too much! That being said, I’m looking forward to seeing how the dynamic of a struggling older sister plays out against her accomplished, amazingly talented younger sister. Zorzal playing a longer, more subtle game than I anticipated. If he asked Tyuule to take care of the assassination, then he’s still the idiot I thought he was. He keeps her locked in a cell, he often mistreats her, and he presents her as a slave. Yet, he expects her to help him? With subterfuge? As another indication of how warped his self-perception is, he wonders if killing a fire dragon is worthy of admiration, with the implication being that he, as crown prince, should receive more. Imagine a Christmas tree with colorful lights. One light’s dim and flickering, almost burned out. Guess which one represents Zorzal! What does Zorzal hope to achieve by attacking the Japanese Self-Defense Force (JSDF)? He caught a glimpse of their weaponry in the throne room. He knows they defeated the imperial army. The JSDF has shown they aren’t inclined to back down when threatened. So what’s he up to? And I still don’t know who created the gate or why. I’m pretty sure the emperor didn’t order it done; he doesn’t seem to have access to that kind of power. I was glad to see Gate immediately begin building on previous plot threads after the fall of the fire dragon. It would have been so easy to coast for a few episodes.